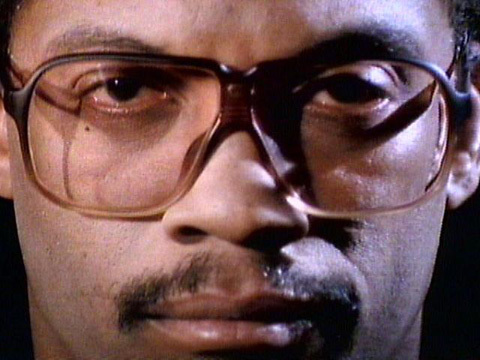 The first Techno track ever by … Herbie Hancock? I believe that many of us would think the first Techno-track ever was created by the hands of Kraftwerk or guys like Juan Atkins, and there is no doubt that these people influenced and shaped Techno as we know it today. But actually in 1974, 11 Years before Model 500´s “No UFO´s”, none other than Herbie Hancock made a piece of music way ahead of his time that some people even claim to be the very first Techno-Track ever made. It´s not a secret Herbie has always been a great innovator and developer of Jazz, such as Funk and Fusion. Due to his love for engineering and experimenting with new devices, a lot of his music was characterized by the use of electronic instruments and with the invention of the ARP 2600 Synthesizer in the 1970´s, Herbie found himself a new toy that clearly shaped the sound of “Nobu”, giving it a touch of Techno, which is amplified by the repeating chord-line in his left hand. Without discussing further if it´s rather Jazz, Techno or something completely different, I just want to leave you with the track and let you build your own opinion about it. Personally I don´t think it really matters what we call it. What actually matters is that “Nobu” is a timeless masterpiece, which every electronic music enthusiast should know. Chuck Hampton aka Gay Marvine is a real master when it comes to the art of editing. Although the fifth volume of his Bathhouse Etiquette Series is about to be released this summer, he seems to be known by few and you can’t find much about him on the internet. The edit that I’m going to present really amazes me, because it breaks out of the classic form of editing, which is mostly used on disco records and normally does not really improve on the original. A gloomy Pink Floyd song from the infamous “Dark Side of the Moon” album, containing nothing more than a fast and evolving 8-note loop, crunchy helicopter sounds and some weird vocal recordings. Doesn’t really seem like club material right? So what did Gay Marvine do to turn this thing into something that you can actually dance to? The answer is actually quite simple: He added drums! Almost just by looping the beginning, slowing it down and adding some simple, but powerful drums Gay Marvine managed to present the track to a completely new audience, giving it a new meaning although the main part didn’t really change. The track actually is a quite good example on what editing should really be about. To me there is nothing more profane than a heavy four-to-the-floor bass drum added to a disco track, so you can play it in a club – and put your name under it. The difference between that method and Gay Marvine’s “On The EMS” is that he put something that wasn’t really danceable in the beginning, or at least not at a normal tempo. The result: a heavy and impulsive late-night clubbanger that in no way lost its dark and psychedelic flavor.